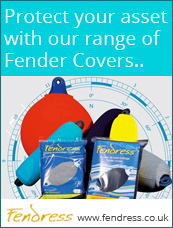 At Boatropes we are dedicated to ensuring you get the product you need at the lowest possible price. We sell competitively-priced marine rope, marine hardware and accessories. Boatropes stocks a full range of racing, cruising, dinghy and mooring rope, including custom-made Marlow Grand Prix Series lines, Dyneema, Vectran, braid-on-braid, Marlowbraid, polyester, nylon and polypropylene ropes. Boatropes stocks the complete Marlow Ropes catalogue, the largest Marlow supplier on the south coast. We also carry limited stocks of Gleistein, Mafioli, New England and English Braids ropes. Our chief rigger/proprietor has a background in America's Cup and round the world race campaigns. 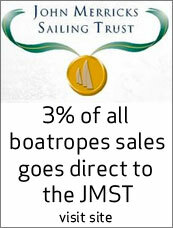 Please contact us at sales@boatropes.co.uk with your requirements. Boatropes can meet any need and offer the solution to any problem.